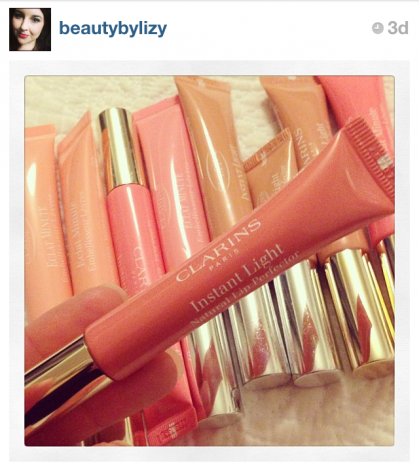 A couple of my Instagram pictures were featured in the weekly #showusyourclarins segment of the Beauty Flash Blog. I absolutely love the name Beauty Flash Blog, obviously a nod to Clarins' most iconic product, the Beauty Flash Balm. The theme turned out to be Lip Gloss Cult, and as you can see, I have a lot of those. Thanks BFB for featuring my pictures. The Instant Light Lip Perfectors are my obsession. I have every shade (and multiples) and I couldn't go a day without them. 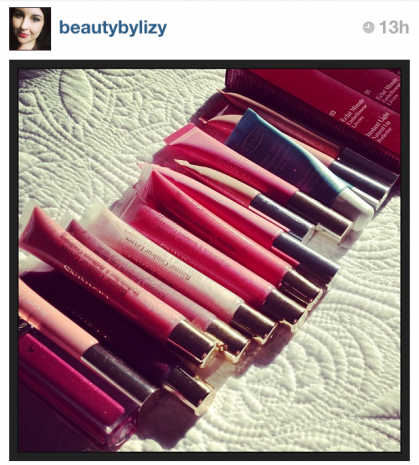 I'm also a big fan of the Colour Quench Lip Glosses too. Gorgeous shades, moisturising and not sticky. Clarins do glosses well. If you don't follow me on Instagram yet, you should! If you want to check out the Beauty Flash Blog then click here.